Nearly five years removed from releasing his You're Dead! album, Flying Lotus has now shared details behind a follow-up full-length. Titled Flamagra, the producer's latest is set to arrive May 24 through Warp. A whopping 27 tracks in length, the album features contributions from Anderson .Paak, George Clinton, Little Dragon, Tierra Whack, Denzel Curry, David Lynch, Shabazz Palaces, Thundercat, Toro y Moi, Solange and more. 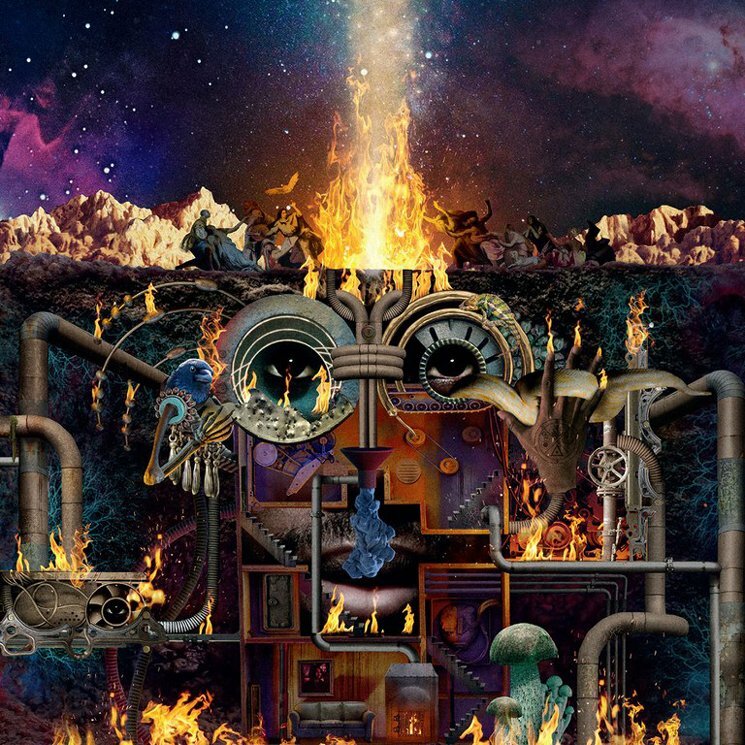 "I'd been working on stuff for the past five years, but it was always all over the place," Flying Lotus said of Flamagra in a statement. "I'd always had this thematic idea in mind — a lingering concept about fire, an eternal flame sitting on a hill. Some people love it, some people hate it. Some people would go on dates there and some people would burn love letters in the fire." Alongside the announcement, the producer has shared the David Lynch-assisted "Fire Is Coming," which arrives alongside a video. Co-directed by Flying Lotus and Salad Fingers creator Dave Firth, you can watch the clip below.